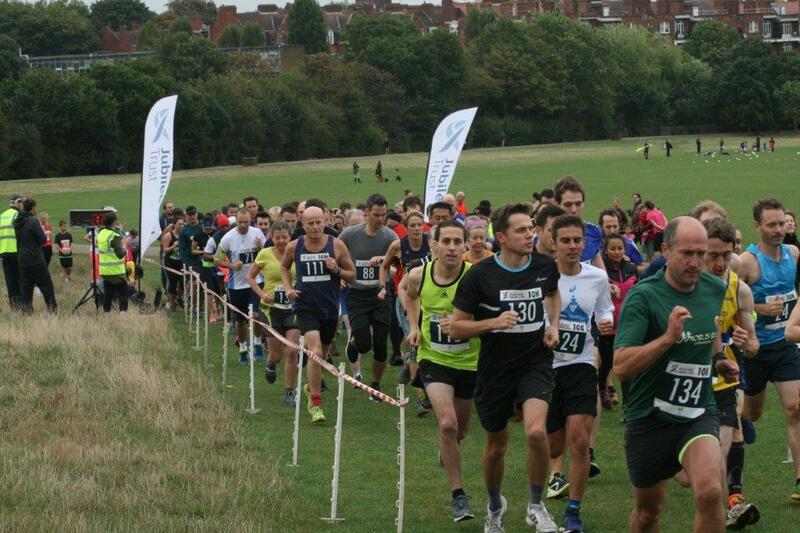 Jubilee Hall Trust’s annual fun run series is scheduled to take place once again on the iconic Hampstead Heath on Saturday 16th September 2017. The ‘Run For Your Life’ series will again include different distance options so that everyone can join in. Last year, a record 225 runners signed up, ranging in age from 5 to 74, and more women than men took part. The race was started by local celebrity and former Team GB middle distance runner, David Bedford, and a great (dry!) morning was had by all. More information about signing up for this year’s event will be available in March, but, as before, we aim to keep costs low to encourage as many people as possible to have fun running. We are extremely grateful to the dedicated team at Hampstead Heath who have worked so hard to make this event possible, and we look forward to seeing you all on the Heath in the autumn!